Our culinary education team enhances the mission of 21 Acres by defining mindful eating from a wider lens perspective. We use only local, seasonal, whole food ingredients in order to promote a sustainable local food system, support our local agricultural economy, and reduce our carbon footprint by using ingredients that travel less miles from farm to table. 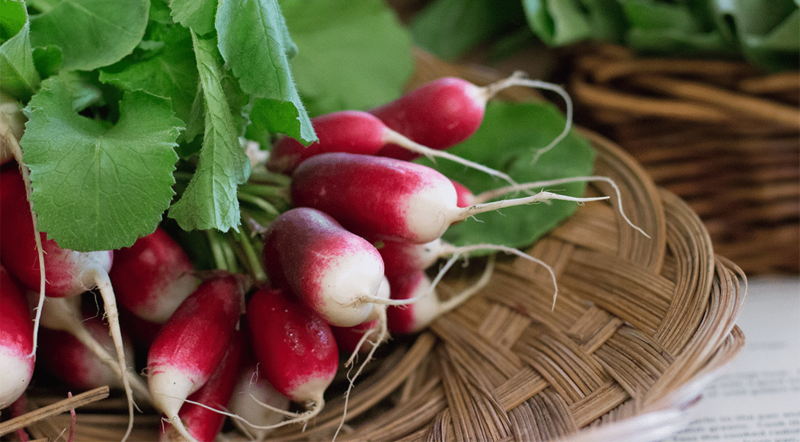 We partner with our farm production specialists to grow the foods that are perfect for classes while we also work with nearby farmers to source additional ingredients that are fresh and in season. 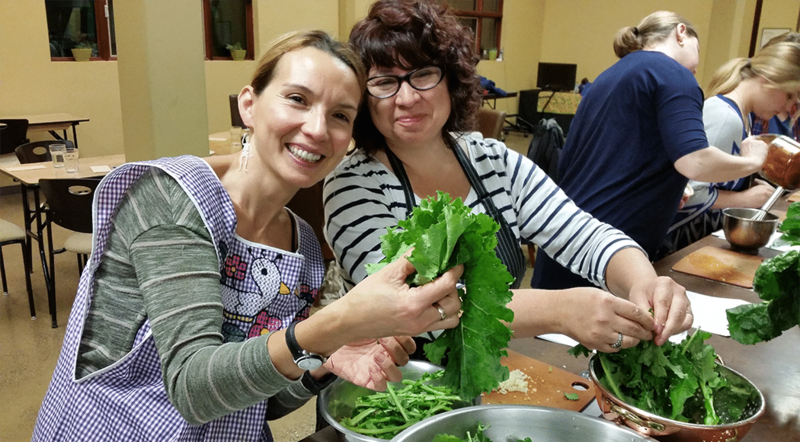 All of our cooking classes strive to teach delicious, simple recipes using everyday culinary techniques that make it easy for students to incorporate healthy meals into their busy lives. Focusing on whole food ingredients enhances the nutritional value of our recipes and creates the very best flavor profiles. We hope to inspire people to embrace local foods and the timeless art of cooking. Experience real farm-to-table cooking! 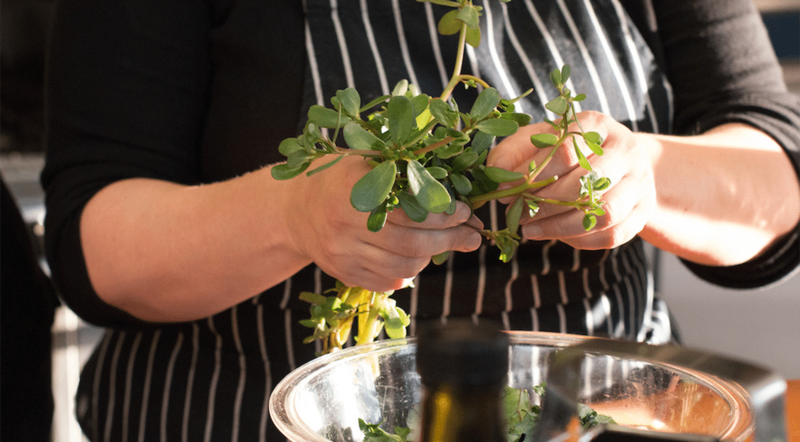 All classes start on the farm and use the very best seasonal ingredients – all GMO-free. Even our salt is local. 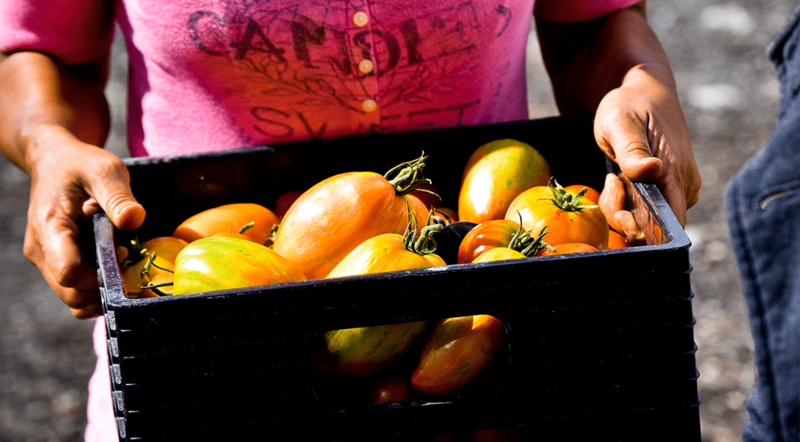 We source ingredients as locally as possible while supporting farmers who use the most sustainable production methods. We prioritize efforts to minimize carbon emissions that come from transporting food and we’re privileged to be located in a diverse bioregional food shed so that we can do that. On occassion we need to source ingredients from slightly farther away – instead of 30 or 100 miles, we may source 200 or 300 miles away. We are committed to pesticide-free food and supporting farmers who are using regenerative practices. Positive climate action means participating in a food system that rewards farmers who don’t rely upon synthetic chemicals and who sequester carbon in the soil. Ultimately the farmers we source from are stewards of the land, animals and people and we’re proud to support their work. Perhaps most important is the scrumptious food we work together to create and the community we build in sharing the meal together at the end of the evening. We reflect upon our successes and talk about adopting skills learned in home kitchens. 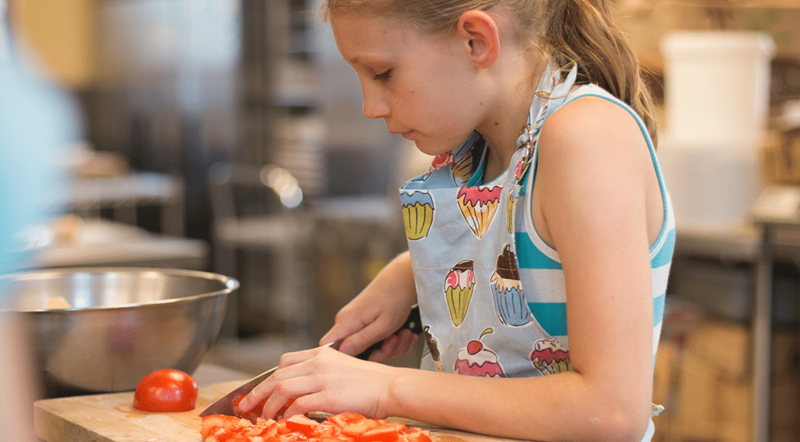 We offer classes specifically for kids of all ages, from our Cultivating Cooks series for ages 8-12; and 14-18, to our Cooking with Kiddos classes for caregivers and their littles. Most of our classes are perfect for people age 12 through adult. Bring the entire family! Most of 21 Acres cooking classes can be booked as a package. 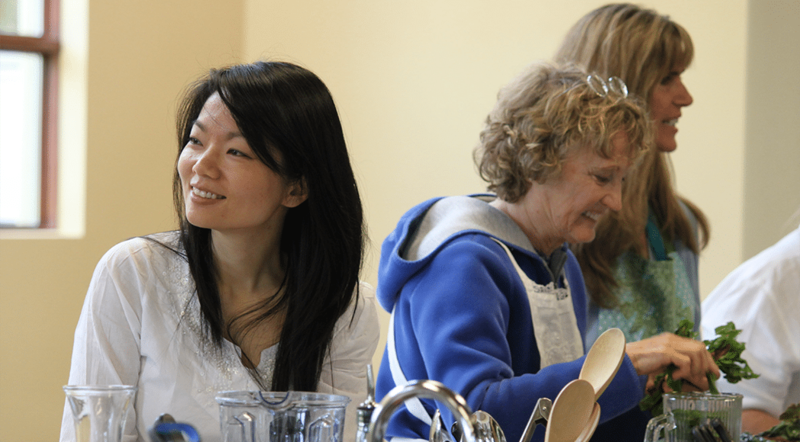 This is a perfect opportunity for a group of friends to enjoy learning new skills in the kitchen together. Classes also make for ideal professional team-building activities. For more information about booking a class for a group of people, please send us an email, [email protected]. Send an email and tell us what topics interest you so we can add them to the schedule. Members of 21 Acres receive discounts on classes. Plus, all class attendees receive 10% off Farm Market food purchases the week following a class — makes shopping for new recipe ingredients easier!